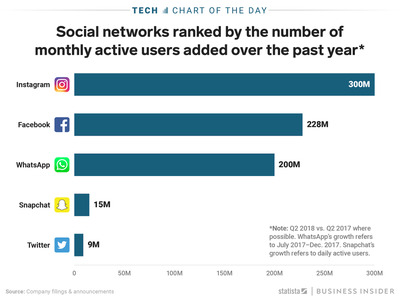 Each app in the Facebook empire – comprised of Instagram, WhatsApp, and the core Facebook app itself – added more new users in the past year than Snapchat’s total user count of 188 million. 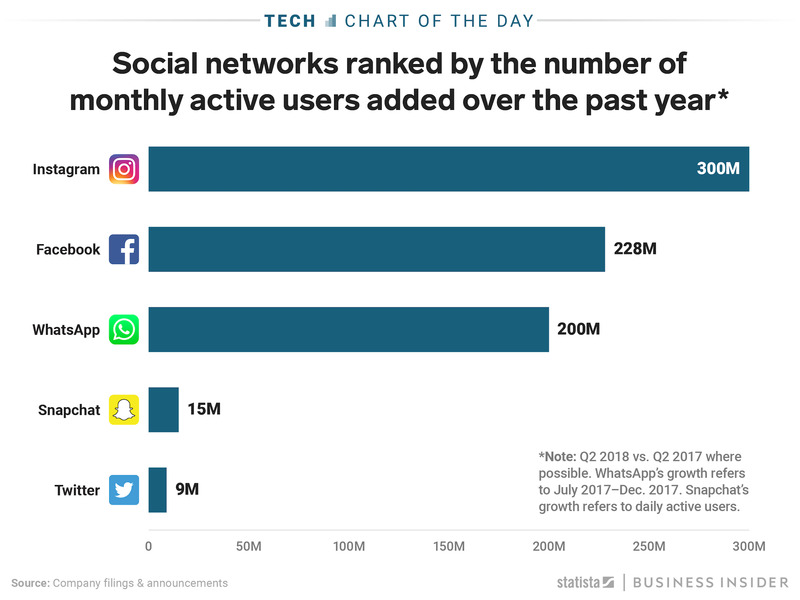 As this chart from Statista shows, Snapchat’s new user growth is barely a blip against the rapid growth of the chart-topping Instagram. Though ephemeral messaging app Snapchat is still a hit with teenagers, its relative lack of popularity outside of that demographic appears to be holding the company back. Twitter experienced a similar roadblock, hitting 302 million users in 2015 and only tacking on 33 million new users since then.